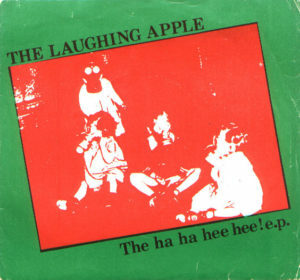 The Laughing Apple- The Ha Ha Hee Hee! E.P. Excellent minimal post-punk 7” from 1981, as donated by the great bx-59cppw. Most notably, The Laughing Apples were the springboard for Creation Records’ Alan McGee. After a handful of private releases, McGee and bandmate Andrew Innes would form both Biff Bang Pow! 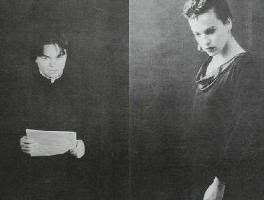 and Revolving Paint Dream, two early Creation staples. 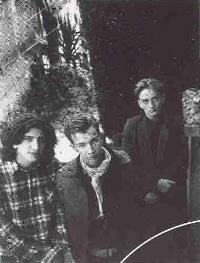 The label would grow to prominence with bands such as Slowdive, Adorable, and My Bloody Valentine. Innes is also a member of Primal Scream, one of the label’s most lucrative bands. This 7” should appeal to fans of They Must Be Russians, Marquis De Sade, and Product of Reason, not to mention McGee’s garage rock fascination. Be sure to listen carefully, or it’ll be over before you know it!